An indie games studio. Positive, inspiring and fun games! 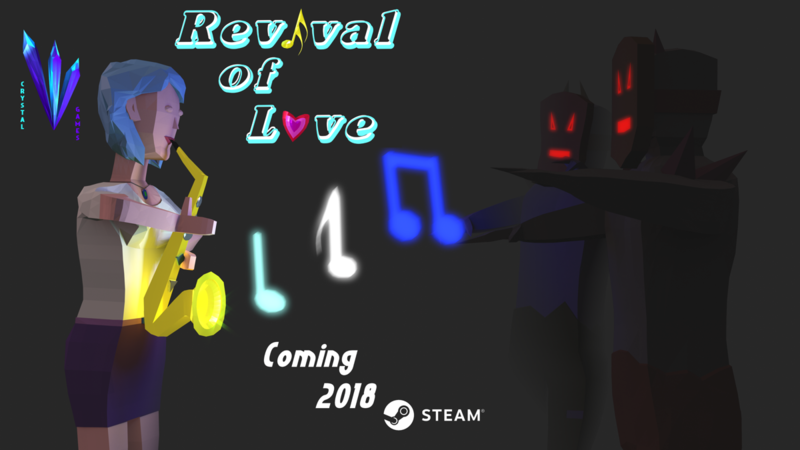 Currently developing Revival of Love. Story: Young saxophonist Adolphine sets off on a journey to heal an island which has sunken in darkness. She will face demons who once were wise and happy people and will battle them using not weapons but her music and love to heal them. Magical island to explore. Unicorn to ride. Sax to play. Evil to heal. :) Better release late and good than fast and poor.